Today is a big day for us! I hope to have more news later on soon. 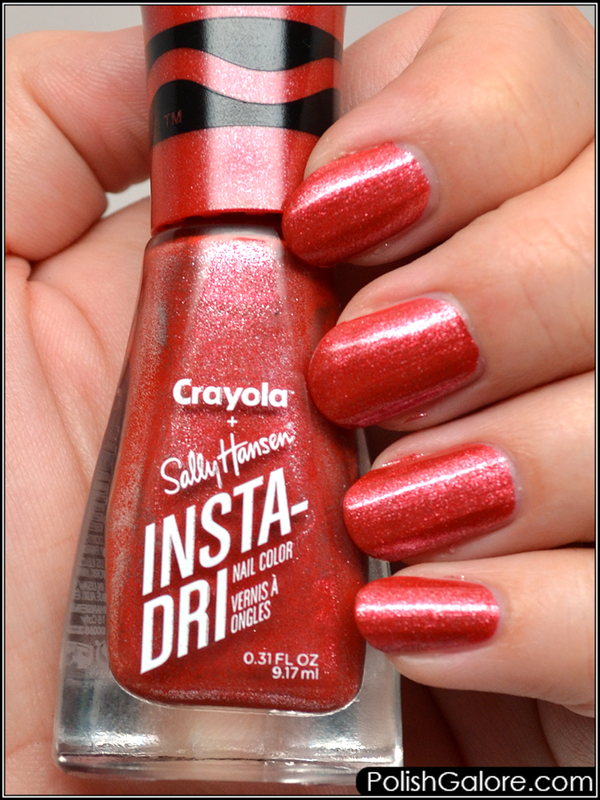 I grabbed Sally Hansen x Crayola Bittersweet Shimmer, a pink tinged red. This one is very similar to me to Big Dip O'Ruby but let's see. I remembered that this is a 3-in-1 so I just used two thin coats of polish. 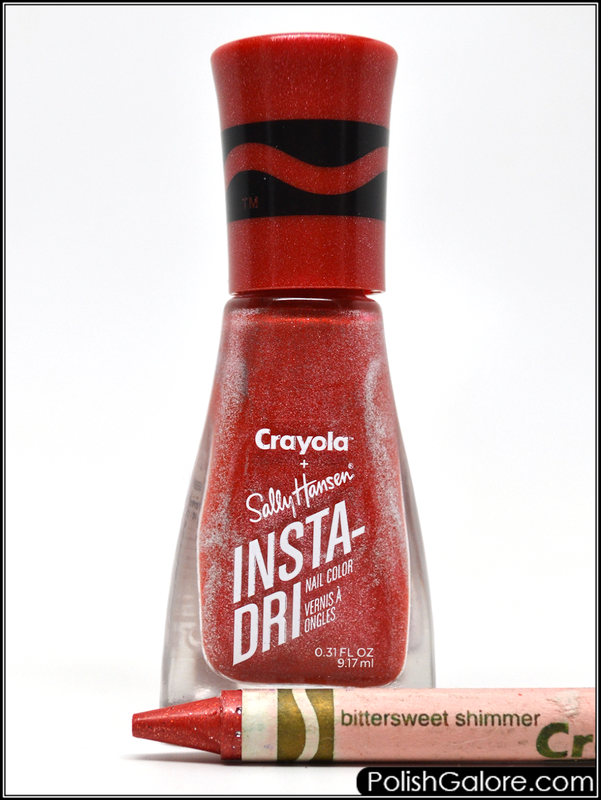 These are so super pigmented and really do shine without a separate top coat. For some reason I thought this was more orange when I grabbed it but it's definitely more red. A great addition to any metallic's collection.